Dubai Press Club (DPC) today unveiled the key corporate sponsors of the 18th Arab Media Forum, AMF,the region’s largest media gathering held under the patronage of His Highness Sheikh Mohammed bin Rashid Al Maktoum, Vice President and Prime Minister of the UAE and Ruler of Dubai. Scheduled to be hosted at the Dubai World Trade Centre from March 27-28, 2019, the two-day Forum is expected to draw the participation of over 3,000 prominent regional and international media figures and thought leaders. This year’s event will be running under the theme ‘Arab Media: From Now to the Future’. The list of sponsors for this year’s edition include: Emirates NBD, the Banking Partner; Etisalat, the Official Telecom Partner and Roads and Transport Authority (RTA), the Mobility Partner. Dubai Press Club also announced Dubai Media City and Dubai Chamber as the Forum’s Leading Partners. The partners hoped that their support will help realise the objectives of the Arab Media Forum, a major platform for highlighting issues of concern and discussing key developments affecting the region’s progress. Commenting on the importance of the event, Hesham Abdulla Al Qassim, Vice Chairman and Managing Director, Emirates NBD, said: "Emirates NBD is proud to sponsor the 2019 Arab Media Forum, an event which plays a key role in bringing together leading personalities and media figures to discuss trends shaping the industry in the region and what the future holds. The media reflect the voice of our nation and as a leading bank in the region, we are committed to supporting the progress and development of this vital sector." 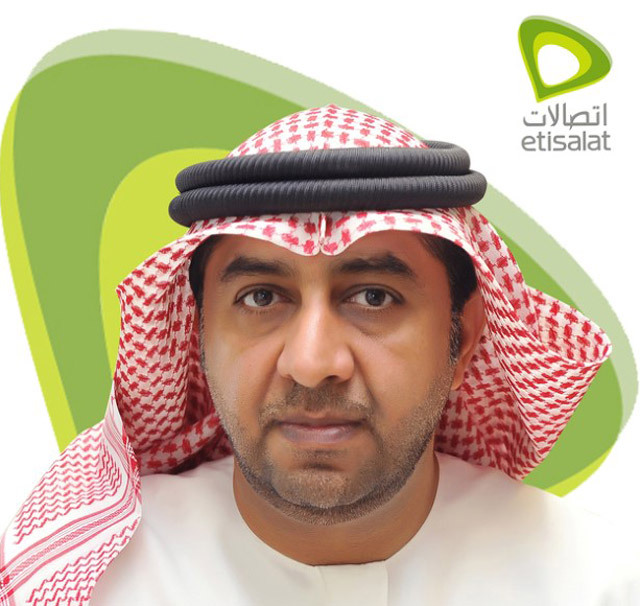 For his part, Dr Ahmed bin Ali, Senior Vice President, Corporate Communications, Etisalat, said: "Etisalat is honored to sponsor the Arab Media Forum for its 18th edition. This partnership is part of our continued commitment to supporting national initiatives and stems from our belief in the importance of supporting a key event like the Arab Media Forum. We are very much aware of the important role the media plays in promoting a dialogue on the Arab world’s development." Bin Ali added that Etisalat is the first in the region to operate the 5G technology in the commercial sector, noting that the technology will have a huge impact on the future of the media industry. "The future will see the media sector and telecommunications sector integrating together like never before, especially with the introduction of the 5G technology in markets in which Etisalat Group operates in," he said. Hamad Buamim, Director General of the Dubai Chamber of Commerce and Industry, also expressed his happiness at the partnership. He said that the Forum is an ideal platform for exchanging ideas on the current realities of the media and its future prospects. "The Forum allows media professionals and experts to come together to exchange ideas and find solutions to the most vital challenges facing the Arab world and the wider region," he said. Buamim further highlighted the importance of this gathering and said that the Arab media plays a key role in shedding light on the economic realities of countries and their achievements towards sustainable development. Majed Al Suwaidi, Managing Director of Dubai Media City, said: "Dubai Media City is proud to be the leading partner of the 18th edition of the Arab Media Forum. Dubai Media City has become the destination of choice for regional and global media companies including start-ups, SMEs and MNEs. Our mandate is to always support and foster creative talent within the industry, and the Arab Media Forum is a platform where our community can learn and expand their knowledge, plus engage with like-minded individuals." On this occasion, Salem Belyouha, Acting Director of DPC, expressed his appreciation to the partners of the 18th edition of the forum and welcomed their support. "The support extended by leading local organisations for AMF 2019 is a testament to their belief in the importance of the media and its role in promoting constructive dialogue on the Arab world’s overall development," he said, noting that the Forum and its partners both share the a common mission, which aims to develop and advance business models in various sectors. The Arab Media Forum had earlier announced global trade enabler DP World as the Forum’s Strategic Partner, in a partnership that will extend until 2020. Dubai Electricity and Water Authority (DEWA) was also announced as AMF’s sustainability partner. Since its launch in 2001, the Arab Media Forum has succeeded in gaining the support of prominent international organizations that believe in providing a platform for dialogue to develop the media landscape across the Middle East. Drawing on the strengths of its sponsors and partners, the event has positioned itself as a key regional initiative that raises questions on the issues and challenges confronting the Arab media.